Need for Registration of A “Charitable & Religious Trust”. 1. Need for Registration of A “Charitable & Religious Trust”. For a public trust, whether in relation to a movable property or an immovable property the registration is optional but always desirable. From the practical point of view, it is always advisable for charitable trusts to have a proper registered trust deed. A registered Trust Deed becomes an official document which carries support and force of law. A conveyance of trust property to the trustee under a registered deed is generally not open to challenge. In case of a charitable or religious trust, in relation to an immovable property, for claiming exemption u/s. 11 of the Income Tax Act, it is essential that the instrument of trust is duly registered . When the trust deed is reduced into writing with the Registrar, it facilitates exemptions under section 80G of the Income-Tax Act for the donors. It may be noted that this is an essential requirement for the purposes of section 80G of the Income-tax Act, 1961. Under the provisions of sections 11,12,12A and 13 read with sections 60 to 63 of the Income-Tax Act, the income of charitable! religious trust is exempt from income tax subject to the fulfillment of certain conditions. Such trust institutions are entitled to exemption under the Income-tax Act when they are created or established for charitable purposes as defined under section 2(15) of the Income tax Act, 1961. Registration under the Foreign Contribution (Regulation) Act. As regards registration under the Indian Registration Act, it may be noted that it is the trust-deed and notthe trust which is required to be registered. Titus, for this purpose, a trust deed has to be framed incorporating the necessary provisions for management ol'the affairs and objects of the trust. This deed has to be registered with the Sub-Registrar of the Registration Department of the respective State Government. Besides, a trust created by a will may also be registered under the said Act by registering the will itself. A trust-deed should be presented for registration within four months of its execution (Sec.23), in the office of the Sub-Registrar within whose sub- district the whole or some portion of the property is situate. (Sec. 28). If a document cannot be prescribed for registration within the aforesaid period owing to urgent necessity or unavoidable accident, it may be presented for registration within a further period of four montlis alongwith a line which shall not exceed ten times the amount of registration fee (Sec. 25.). Registration fees, as prescribed by the stale Government, is payable on presentation of the document. (Sec.78). A trust deed relating to immovable property must, for the purposes or registration, contain a description of such properly, sufficient to identify the same. (Sec$.2l & 22). If there arc any interlineations, blanks, erasures or alterations in a deed, the same must be duly attested by the pcrson(s) executing the deed (Sec.20). When die Registering Officer is satisfied that ihe provisions of the Act as applicable to the document presented for registration have been complied with, he shall endorse thereon a certificate containing die word '‘registered", together with the number and page of the book in which die document has been copied. Such certificate shall be signed, sealed and dated by the Registering Officer, and shall then be the conclusive evidence that the document has been duly registered. (Sec.60). (B) Registration under Public Trust Act. It may be noted dial a charitable or religious tiust. whether public or private, is not required to obtain registration under the Indian Registration Act. I lowevcr, in certain states like Maharashtra and Gujarat diere is a Public Trusts Act, which obliges such institulions'trusts to get registered as such under die said Act. For example, according to the Bombay Public Trusts Act, 1950, all charitable and religious institutions arc to be registered as Public Trusts and will come under the supervision of the Charity Commissioner of the State. For details, the relevant state law on trusts, ifany, should be consulted. (C) Registration under Income Tax Act. Charitable or religious trusts anti societies, claiming exemption under Section 11 and 12 of the Income-tax Act arc required to obtain registration under the Act. Private! family trusts arc neither allowed such exemption nor. thus., required to seek registration under the Income-tax Act. However, private trusts partly for charitable or religious purposes, are also eligible and should, thus, obtain registration. Any society, trust or charitable company carrying on educational, charitable, religious, economic, cultural or social welfare activities and desirous of receiving any foreign contribution from a foreign source, is required to obtain registration under section 6(1) of the Act. Any such association which is not registered or which has been denied registration, can receive foreign contribution only alter obtaining prior permission from the Central Government under section 6(1 A) of the Act. However, no order refusing to register the trust shall be passed unless the applicant has been given a reasonable opportunity of being heard. Every order granting or refusing registration shall be passed before the expiry of six months from the end of the month in which the application was received under section 12A(1)(aa) or (ab). Sub-section (3) of section 12AA if certain conditions mentioned therein are satisfied. Sub-section (4) of section 12AA if benefit of exemption under sections 11 and 12 is not available due to the operation of section 13(1). As per section 12AA, the registration once granted to a trust or institution shall remain in force till it is cancelled by the Principal Commissioner or Commissioner. the activities are not being carried out in accordance with the objects of the trust or institution. Only if either or both the above conditions are met, would the Principal Commissioner/ Commissioner be empowered to cancel the registration, and not otherwise. The powers of Principal Commissioner/Commissioner to cancel registration under section 12AA(3) are severely restricted. 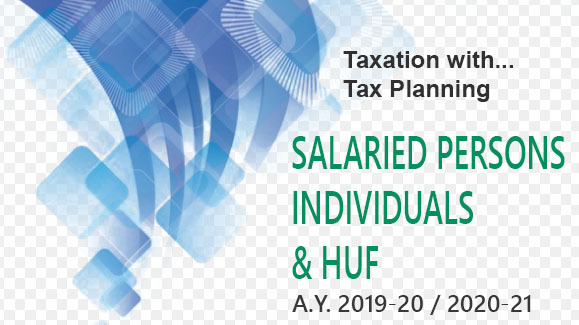 There have been cases where trusts, particularly in the year in which they have substantial income claimed to be exempt under other provisions of the Income Tax Act, deliberately violate provisions of section 13 by investing in prohibited mode etc. Similarly, there have been cases where the income is not properly applied for charitable purposes or has been diverted for benefit of certain interested persons. Due to restrictive interpretation of the powers of the Principal Commissioner/ Commissioner under section 12AA, registration of such trusts or institutions continues to be in force and these institutions continue to enjoy the beneficial regime of exemption. then the Principal Commissioner or the Commissioner may by an order in writing cancel the registration of such trust or institution. However, registration shall not be cancelled under section 12AA(4) if such trust or institution proves that there was a reasonable cause for the activities to be carried out in the above manner.